I have never owned a Flat Iron before and I have been wanting to acquire one. Yet, every time I tried to obtain one, I'm always hesitant due to the reason of being uncertain about each product and its brand. So, I have waited for a very long time to decide. Though I have a natural straight hair, in which a flat iron is unnecessary for my daily needs I still end up possessing one. Today is one of my lucky that I was approved to review one of the expensive and yet very durable nice Flat Iron. · EXPERT TIP: Extend your smooth style by applying a heat protectant spray before you iron, sleeping on silk pillowcases, and skipping shampoos. I like this product. When it came in the mail it was sealed in a packaging box properly. I like the packaging label too. Very sturdy and has information about the product before you actually open the whole item. Before I found my item, it is also packed with another magnetic, sturdy box which I assume would be for a keepsake to make sure that the product itself is not only secure but also has the proper storage. I like the color black, and the black storage that comes with it, also I like how it comes with the heat insulation bag so when I travel I'm pretty sure that my flat iron is in a safe place. I like the Tourmaline Ceramic Plates much safer to use, when i tried the product my son grabbed the iron where it is hot and i'm glad that the outer part of the iron is designed to be not too hot, he didn't burn his hand. Also, this is great because I can adjust the head whenever I want and can turn on with just a press of the button in which not too visible. I love the digital display and the light to easily be seen. It heats fast too, when I used the iron on my hair, I don't need to wait forever to warm the iron enough and when I run it on my hair it did the great hair straight that I want. The product itself is very durable, very safe and the cord is long enough. It's great to have a reliable flat iron at home. Thanks for sharing your review! That is a great deal for an awesome product. Can't believe they are on sale for 60% off. I will have to get one now while it is still on sale! Thanks for the review. 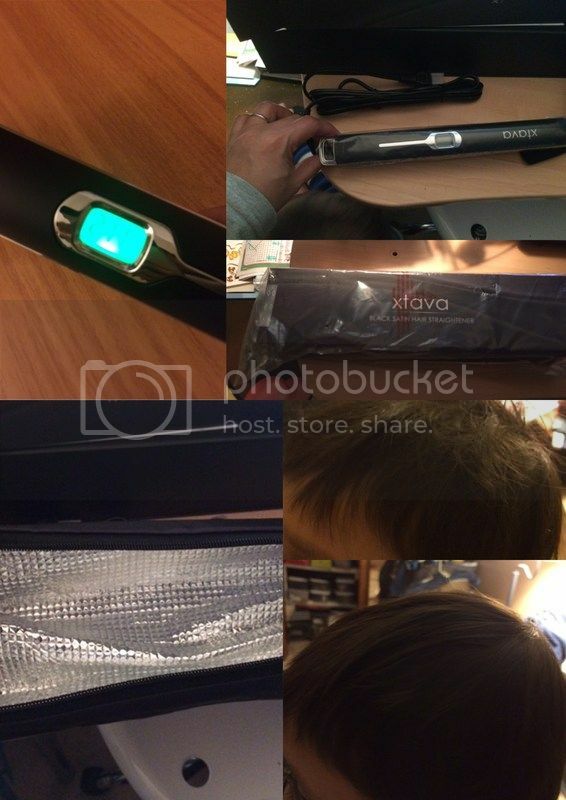 Awesome, hair irons have digital screens nowadays too? Good that it heats fast because busy moms can't wait! LOL! I think I need a new hair straightener so I'll take a look on this one. Wiw, that's something new that I haven't seen yet. How nice to have a digital screen. It seems so easy to use, and the Tourmaline Ceramic Plates is such a good additional feature, too.